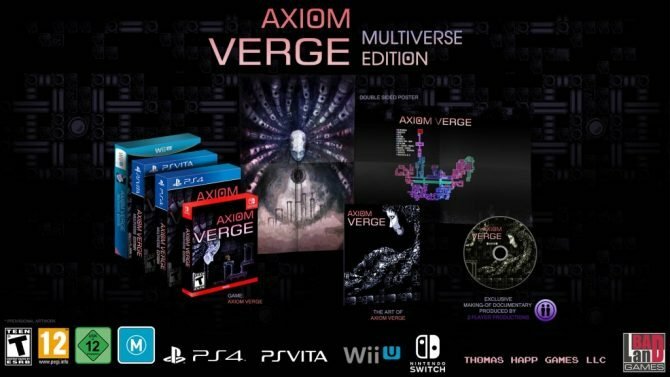 Axiom Verge Producer: "Badland Has Literally Stolen Money From a Disabled Toddler"
Limited Run Games announced that Axiom Verge would finally be released physically for the Wii U in a Multiverse Edition by the end of March. Axiom Verge is a side-scrolling action-adventure game in which you control a scientist who, after suffering a crippling injury, wakes up in an ancient and high-tech world. Interestingly, this news comes after a years-long legal battle with Limited’s former publisher BadLand Publishing (previously known as BadLand Games) where reportedly they refused to uphold a negotiated trust fund for the Axiom Verge creator’s disabled son. 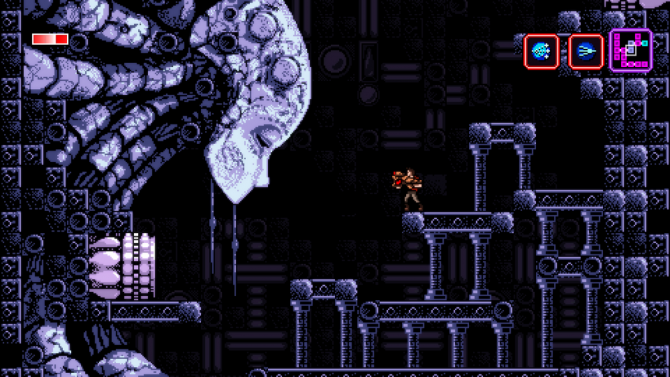 The issues started back in 2017, about a year after the Axiom Verge released digitally for the Wii U in North America. BadLand Publishing made a deal with Limited Run Games — through a partnership with developer Thomas Happ — to release 6,000 copies of a limited physical version called the “Multiverse” edition which would include an artbook with director commentary, a poster, and a making-of video. The target release was set for Fall 2017 and Limited made the agreed-upon payment of $78,000 to have the copies delivered to retailers at least one week before the release in November. The deadline passed, however, with no delivery made and the release month was subsequently pushed back to January 2018. 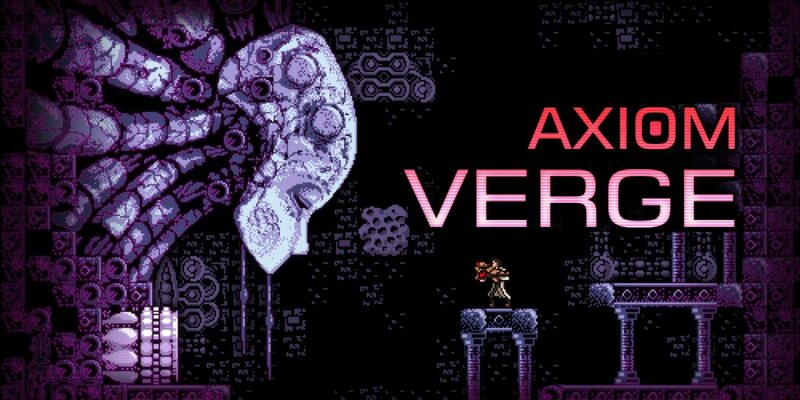 Nintendo caused a second delay, as Axiom Verge had trouble passing the quality verification check due to a rating mixup. This was easily solved by Happ and BadLand presenting a new build of the game. But even with this issue resolved, the copies never arrived. According to Limited Run CEO Josh Fairhurst, by March 2018 his BadLand contact went silent and so he emailed BadLand Games CEO Luis Quintans in April 2018. The initial contact gave the publisher two options: one, repay the full amount of $78,000 or two, give Limited $78,000 worth of Axion Verge on the Nintendo Switch, PS4, or PS Vita. After two additional emails from Fairhurst’s lawyer and a just missed ultimatum deadline of May 21, 2018, Quintans finally responded and agreed to the second option. After that BadLands failed to respond again until October 2018 and by then Fairhurst had already begun to pursue legal action. When Quintans finally did contact Limited, they explained that BadLand Games closed, the rights were given back to Happ, and that future activity would be under BadLand Publishing. He explained that a simple issue with their lender bank resulted in spiraling debt and profit loss that eventually led to the closing of their original company. The repeated silence stemmed from Quintans’s efforts to save the company. Axiom Verge is available now on Nintendo Switch, PC, PlayStation Vita, PS4, Wii U, and Xbox One. Tom Happ Games' Axiom Verge "likely" surpassed the PS4 launch on Nintendo Switch, according to Tom Happ's social media account.